So I’ve been giving MullinsMania.com just a bit of a facelift over the last couple of weeks. There have been a few mild changes to how the site keep folks up to date on what’s going on in our fair city of seven hills. I’ll explain those more in detail later. For now, I wanted to introduce you to the rumpus compendium. To be honest, I’m not sure if “compendium” is the word I’m looking for but I think it has a nice ring to it, so it’s settled. The goal is to share a more detailed look about what’s going on in our world of arts, entertainment, live music, and nightlife for Rome and Northwest Georgia. I have teamed up with VenueDog.com, which is an incredible event oriented web app that serves the whole spectrum of events from kid friendly family events to senior events and everything in between. I’ll tell you more about that in the not distant future too. For now, I’ll just say that my involvement with them should allow more time for us to take a closer look into our talented community. MullinsMania.com is approaching it’s fifth birthday soon and it has been nothing but a pleasure to publish. With help from Elizabeth Davis of WLAQ Talk Radio 1410 AM, my man Matt D of The Ridge 95.7 FM, and Druck from HometownHeadlines.com, and good old fashioned word of mouth, MullinsMania.com has enjoyed a slow but steady growth over the last half a decade. I am extremely grateful to all who check it out on a regular basis to see what’s going on. Sometimes it seems like too much work for what it’s worth but then I run into one of you at the store or something and you tell me that you appreaciate it and you check it at least once a week and it makes it all worthwhile. So thanks. So, all rambling aside, this is the new blog to coincide with the “What’s the rumpus” arts and entertainment calendar. Still not sure if “compendium” is the right word, but I’m not going to lose any sleep over it. That I can assure you. 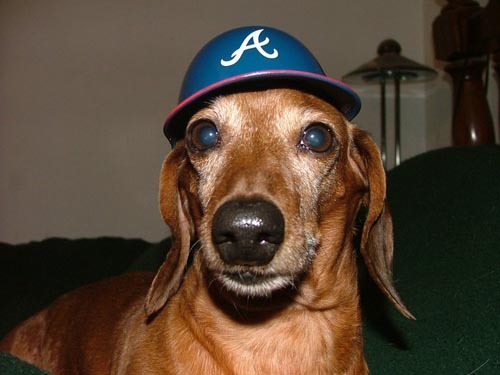 PS- I know people like pictures to go with their blog entries so this a picture of Kenneth, a huge Braves fan of solid character. Thanks Julie! You are currently browsing the The Rumpus Compendium blog archives for April, 2012.